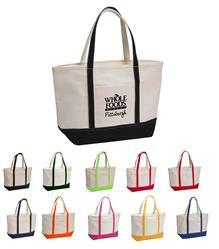 The Rock The Boat Tote is a 15 oz. 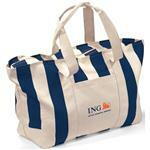 natural canvas boat bag with a zippered top. 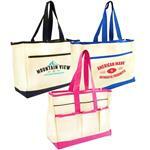 Features an outside pocket between the trim and comes in a variety of trim colors. 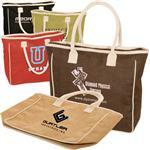 Customize this trendy boat bag with your logo for your next event! Comes in a natural canvas color with your choice of colored trim.